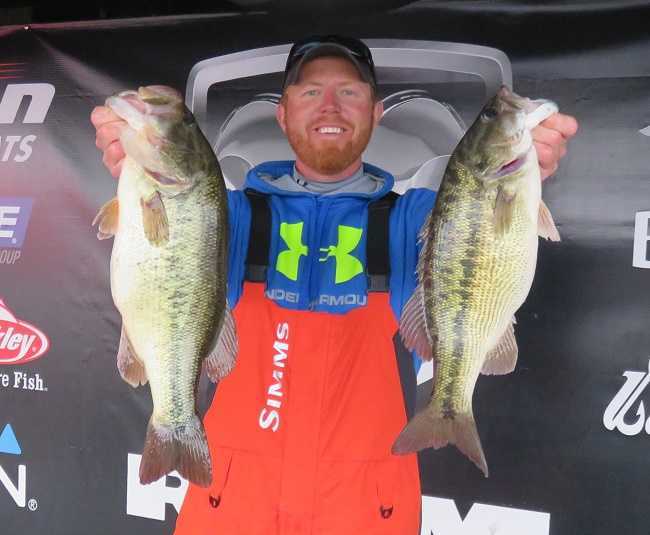 ATHENS, Ala. – The Alabama North Division of the Open Series will hold its season opener on February 3, 2018, on Lake Guntersville in Scottsboro, AL. Casey Martin won the opening event last year(02/11/2017) with a five-fish limit that locked in the scales at 21.00 pounds. Casey took home $6300 check for the boater division victory. Jeffery Sanford of Decatur, AL took the victory for the co-anglers with a three-fish limit that went to the scales for 12.28 pounds. Jeffery took home $2420 for the victory in the co-angler division. Anglers fishing the Boater Division may weigh in up to five bass, each at least 15 inches long. Co-anglers may weigh in up to three bass. In addition to cash and prizes for top finishers, boater and co-angler competitors fishing this tournament and Open Series events throughout the season may also win contingency bonuses from such sponsors as Triton Boats, Mercury Outboards, MotorGuide, T-H Marine, and ABU Garcia. See the manufacturer web sites for specific details on how to qualify for these bonuses. For more information on this tournament, call Kelli Woods, tournament manager, at 256-230-5633 or ABA at 256-232-0406. Online see http://www.abaopenseries.com/ . American Bass Anglers commitment is to provide low cost, close to home tournaments for the weekend angler and at the same time offer each competitor an upward path for individual angler progression. For more information about American Bass Anglers and the American Fishing Tour, the Open Series, the Triton 100% Plus Team Tour, or the American Couples Series visit www.americanbassanglers.com. American Bass Anglers, Inc. is supported by Triton Boats, Mercury Outboards, Hydrowave, T-H Marine, Abu Garcia, Berkley, Livingston Lures, Best Western Hotels, Garmin, Maui Jim, Power Pole, and GEICO. American Bass Anglers, Inc. can be contacted at (256) 232-0406 or visit AmericanBassAnglers.com.